Happy Kitchen Sink Stamps Monday, thanks for stopping by, I hope you had a great weekend! I thought I better put a dent in my Christmas Card creating if I'm going to have enough cards ready to send out! 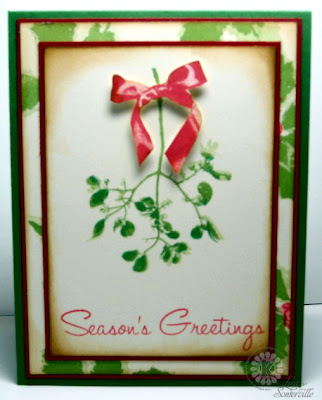 I used the beautiful Kitchen Sink Stamps 3 Step Holly and Mistletoe set to create my card. Creating my own designer paper with the Holly for a wonderful background. Great background paper and love the bright red ribbon above the mistletoe. Such a great background, it is almost a shame to cover it up! 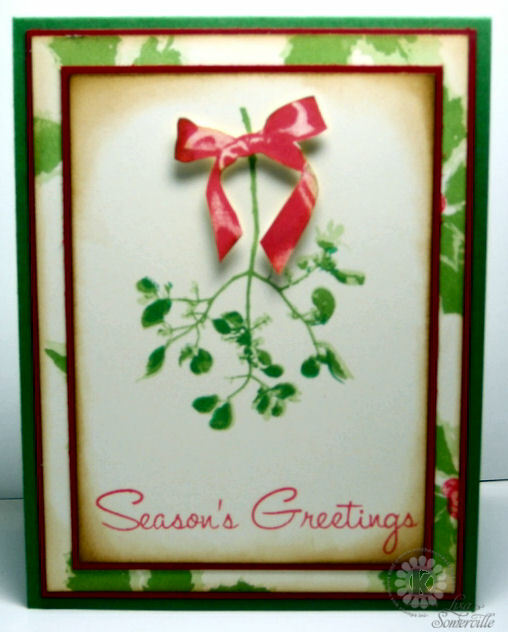 Lovely Chrismas card and the bow just pops! Happy Monday! Beautiful designer paper, Lisa! This makes a darling card. Very pretty, love the pops of red and the sponging. Beautiful work. Beautiful image over a beautiful background. Very sweet card, Lisa. Makes me want to start working on Christmas cards myself instead of waiting until the last minute like I usually do...lol. 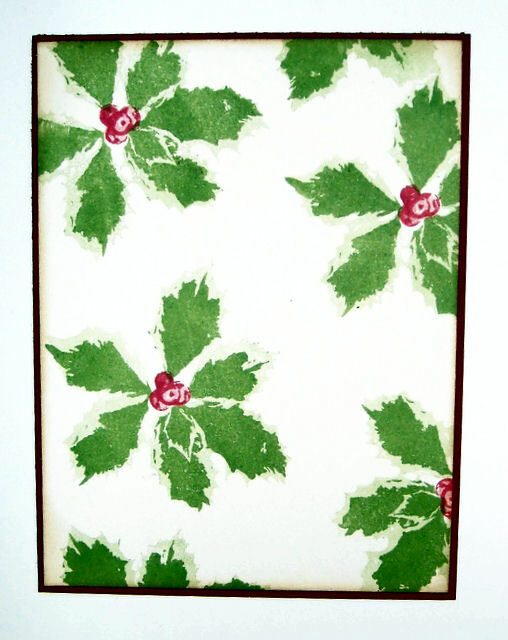 Love your gorgeous holly background for this sprig of mistletoe! What a pretty holiday design, Lisa! Lisa, this is so beautiful! I love the soft look of the mistletoe. Pretty stamped BG too. Beautiful background and love your realistic looking mistletoe! The soft distressing adds depth.